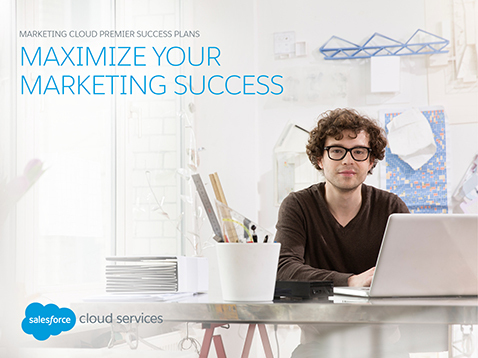 Maximize your marketing success with Marketing Cloud Success Plans. Whether you’re just getting started with Marketing Cloud or looking to take your campaigns to the next level, Premier Success Plans give you the tools and resources you need to succeed. Download this ebook for an introduction to the features and benefits included with Premier Success Plans for Marketing Cloud.